Many people suffer from sleep deprivation or insomnia. In fact, it is reported that over a third of adults in the United States do not get enough sleep regularly. Considering that a lack of sleep can contribute to a range of physical and mental health issues, it is considered an epidemic. Fortunately, a better night’s sleep is not hard to achieve. If you do not receive the recommended amount of sleep daily based on your age group, it could have a negative impact on your overall health. Without a better night’s sleep, you could face issues at home, at work, and in nearly every other aspect of your life. What Consequences Will I Face Without Adequate Sleep? As far as your mental health, you could suffer from mood swings, irritability, depression, anxiety, a lack of motivation, and more. Depriving yourself of a better night’s sleep is something that can have a serious impact on your life. You may notice that your lack of sleep impacts your relationships with friends, family, and co-workers. You may also notice that your daily performance tends to decrease. You might not be as productive at work as you could be if you slept better. Your boss may notice it, too. For the sake of your physical and mental well-being, it is important that apply different techniques to help you sleep better. Although the idea of sleeping at all may seem impossible, you can make it happen thanks to many helpful exercises, tips, tricks, and techniques. Turn off your devices. Cell phones, tablets, and other devices emit a glowing blue light that disrupts your sleep cycle. Unfortunately, many people make it a habit of lying in bed and playing on their electronic devices. Turn off your devices and make it a point not to touch them at all while you are in bed. Make use of the sun. If you feel tired during the day, do not succumb to the urge to take a nap. Naps may make you feel more awake during the nighttime hours. Instead, wake your mind up with the power of the sun. The sun triggers a reaction in your brain that helps wake you up. Just 10 to 15 minutes of sun exposure can wake you up. Turn your clock away from you. Do not ever look at your clock under any circumstances. If you happen to wake up in the middle of the night, try to go back to sleep. If you look at your clock, it may cause you to recall thoughts of what the day ahead of you brings. If your mind races with numerous thoughts, you are likely to have trouble falling back to sleep. Say no to caffeinated beverages: Many people rise in the early morning hours feeling like zombies until they have their morning coffee. Although drinking a cup of coffee in the morning works great, you should avoid caffeinated beverages afternoon. Caffeine found in coffee, soda, tea, and even chocolate can make it difficult for you to fall asleep at night. Breathe deeply while in bed. While lying in bed, try your best to relax. Breathe deeply in through your nose, and exhale slowly from your mouth. Deep breathing exercises help relax your mind and body, which makes it easier for you to fall asleep. Each of the techniques listed above achieving a better night’s sleep a reality rather than a dream. Everyone deserves a restful night of sleep, especially as a means of improving their health. If you find that you are still having trouble sleeping, consider making an appointment with a therapist. A therapist can help you find solutions and maybe even find the root of the problem that prevents you from sleeping. 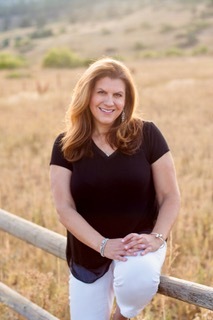 Monica Ramunda is a solution-focused therapist with an office located in Louisville, Colorado for in-office visits. With a Master’s Degree in Counseling Psychology and more than 18 years experience in therapy and counseling, Monica works as both a Licensed Professional Counselor (LPC) and Registered Play Therapist (RPT) with adults and children respectively. Much of Monica’s success is based on her eclectic orientation and drawing on a wide range of different approaches and techniques all while remaining strongly grounded in the principles of Cognitive Behavioral Techniques (CBT). Schedule today.